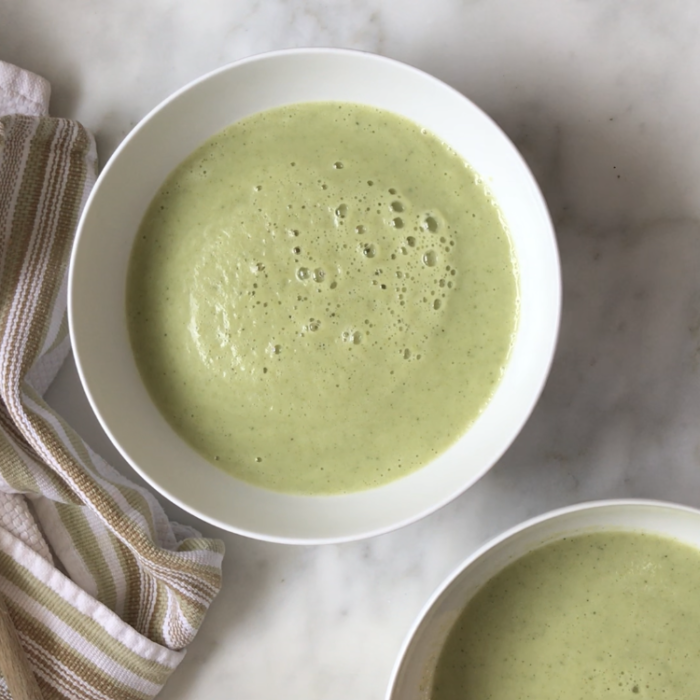 A new one for my fave and easiest meal of the week: Monday Night Soup! I had lots of broccoli and cauliflower left from the market in the fridge so I thought I would combine both and make a soup on this chilly Monday in LA. Sauté the onoin and celery with the olive oil for 5-7 minutes. Add the broccoli, cauliflower, water, some salt and pepper, cover and bring to a boil. Lower and simmer for 15-20 minutes until veggies are soft and cooked through. Transfer to vitamin and purée until smooth. Sometimes I like to keep some of the cooked veggies on the side and add them later to the creamy, smooth soup to give it some texture. Taste and adjust seasoning. Serve and add some toppings of your choice.